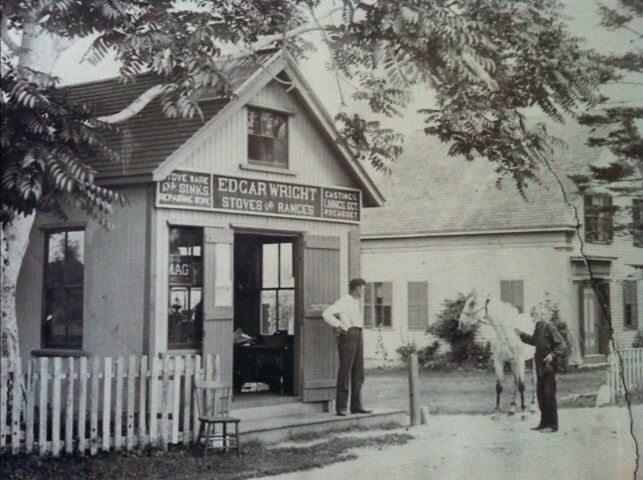 Born: September 21, 1852 (twin) in Pocasset Ma. 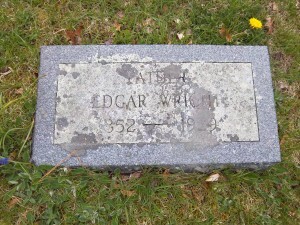 Died: April 15, 1929 in Pocasset Ma. at 76 yrs, 6 mos, 24 d. at the “Bay Breeze”, 955 Shore Rd. Where Lived: County Rd, near Barlows Landing Rd. ; Poughkeepsie NY; Georgia; Tennessee; Shore Rd, near Island Drive in Pocasset Ma. ; Pocasset Hotel; 955 Shore Rd. (“Bay Breeze”). 1. Blanche Mae Wright Chambers; (December 14, 1876 – June 19, 1966); Married James C. Chambers (1875 – 1905) (Benjamin F. Chambers & Isabella J. Reynolds) in Atlanta Ga. on September 9, 1894 & had 2 children; She was born in Pocasset Ma. & died in Clayton Ga..
2. Ernest Osbourne Wright; (November 17, 1878 – May 12, 1935); Married Ruby Eliza Spikes (1886 – 1961) in 1907 & had 4 children; Ernest was born in Pocasset Ma. 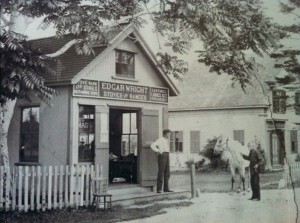 & died in LaGrange Ga..
Edgar Wright in front of his store with his father Zadock Wright (with horse) about 1900. 3. 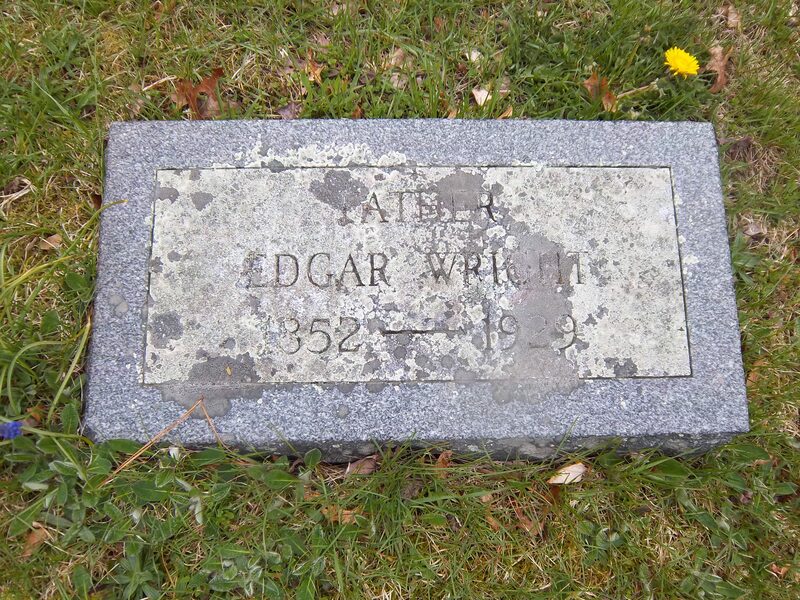 Lucy Etta Wright Chambers; (December 17, 1880 – December 19, 1949); Married William E. Chambers (1876 – ?) in 1899 & had 2 children; Lucy was born in Pocasset Ma. ; She & William are buried in Hollywood Cemetery in Atlanta Ga..
4. Ella Viola Wright Haney; (March 4, 1883 – July 11, 1971); Married George Franklin Haney (1880 – 1946) (Henry P. Haney & Collie Elizabeth McDuffie) & had 2 children; She was born in Poughkeepsie N.Y. & died in Spartanburg S.C.; She & George are buried in Casey’s Hill Cemetery in Atlanta Ga..
5. Elizabeth/Lizzie Eugenia Wright Brooks; (April 12, 1884 – October 24, 1982); Married Benjamin Lloyd Brooks (1882 – 1945) in Atlanta Ga. on January 31, 1904; She was born in Poughkeepsie N.Y. & died in Atlanta Ga.; She & Benjamin are buried in Greenwood Cemetery in Atlanta Ga..
6. 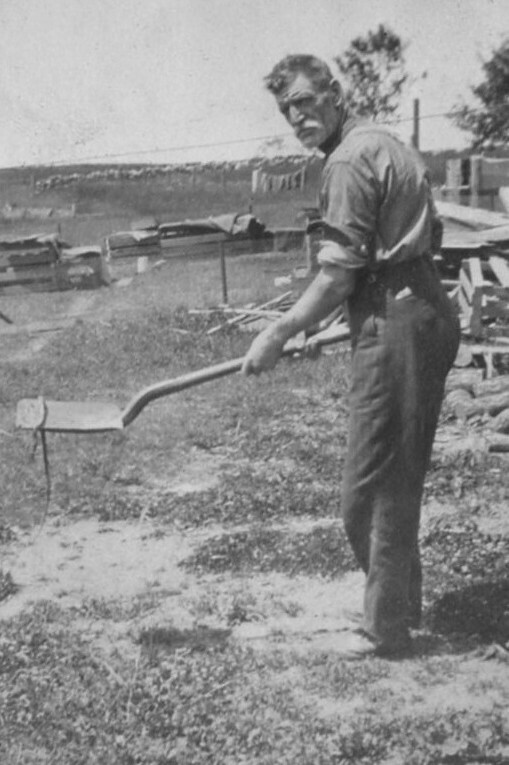 Chester Snow Wright; (May 15, 1887 – July 2, 1940); Married Cora Belle Yarbrough (1888 – 1975) (Marion H. Yarbrough & Emma Webb) in Georgia on February 9, 1913 & had 2 children; Chester was born in Poughkeepsie N.Y. & died in Augusta Ga..
1. 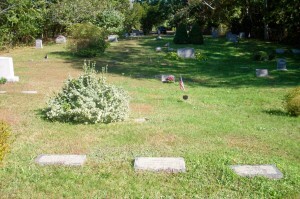 Eleanor Frances Wright Low Collins; (September 8, 1904 – June 24, 1996); Married (1) John Fitchet Low (1895 – 1941) (John Hill Low & Davine Small) in Bourne Ma. 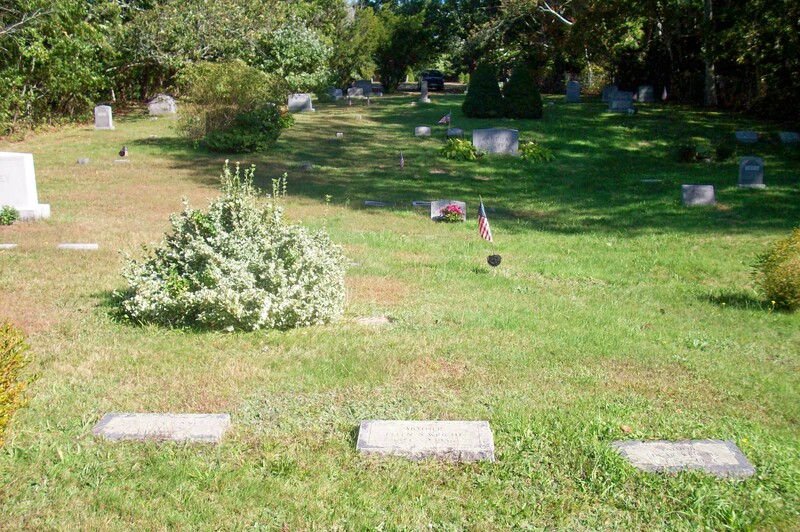 on November 8, 1924; They were divorced; John married (2) Martha Elizabeth (Anderson) Waddell (1889 – 1957); John drowned in Pocasset Harbor; John & Martha are buried in Oakland Grove Cemetery in Bourne Ma. ; Eleanor married (2) Alton Sidney (Geggatt) Collins (1877 – 1967) (Ezra Fish Geggatt & Emily F. Landers); After his mother’s death, Alton was adopted by Alonzo Orlando Collins & Salome S. Landers, his mother’s sister; Alton married (1) Ada Lincoln Phinney (1874 – 1937) (Levi Lincoln Phinney & Harriet/Hattie L. Kendrick) on April 2, 1900; Alton, Ada & their 3 children are buried in Cataumet Cemetery; Eleanor had no children from either marriage; She is buried in Pocasset Cemetery.